The success of your leaflet marketing is extremely important to us, so why not take advantage of our free marketing consultation with a direct response marketing expert. We can discuss your campaign in more detail as well as offer advice about leaflet design and how to maximise the success of your leaflet distribution. You can sit down in person or speak on the phone to one of our experts who will take a look at your leaflet and give you the best advice as to how to optimise your return. Flyer design can have a massive impact on the success of your campaign and if you get a good response from your direct marketing campaign, you’re more likely to want to repeat your distribution meaning more business for us. It’s a win-win situation. Once you’ve got your design sorted, ask us about our incredibly competitive printing rates! If it’s more of a targeted audience you are looking for, we can even help you target the best areas for your business to ensure you maximise your profits. We have industry specific mapping software which allows us to calculate the number of homes in any given area. 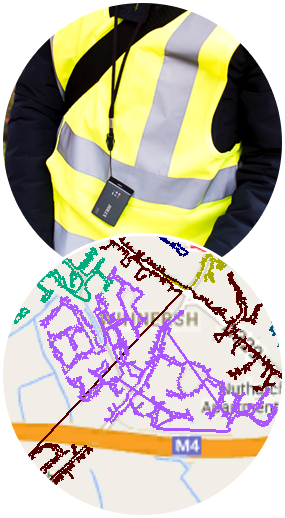 You can provide us with a map or simply tell us which streets you’d like to deliver to (or not to deliver to!). The software will not only show you how many homes are in your selected area but also a breakdown of the type of homes as well as the tenure. 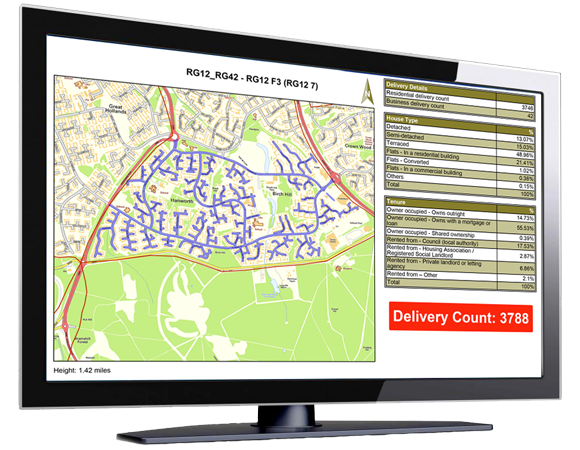 Our targeted GPS tracked leaflet distribution service is one of the most comprehensive direct response services in South Central England. Call us now to book your FREE one-to-one consultation.